Games There are 11 products. 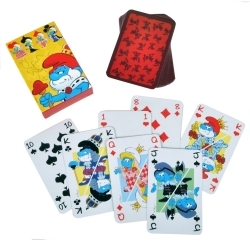 Regular playing cards, with pictures of characters seen through Smurfs adventures. Sketched Version. 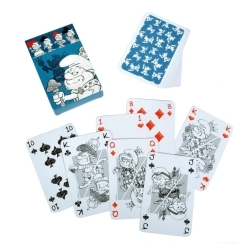 Regular playing cards, with pictures of characters seen through Smurfs adventures. Colour Version. 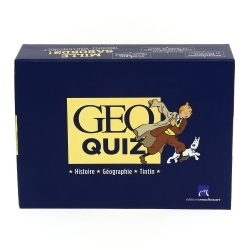 With this Geo Quiz Tintin box you can explore history, test your knowledge of geography and immerse yourself in the adventures of Tintin! 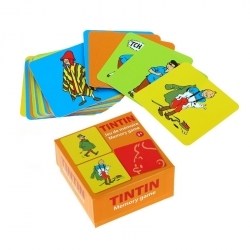 400 questions to discover the world and history by following Tintin. The answers are detailed. French version. 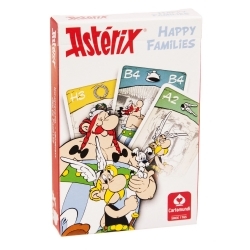 Based on the classic cartoons and comics Asterix and Obelix. 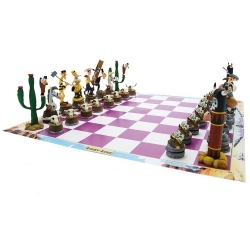 The game of Chess with a difference, a great way to encourage the young to play this strategic game. Box Contains: 32x playing pieces and playing board. Size: 46x46cm. The figurines measure between 4 and 11cm. Based on the classic cartoons and comics about the blue Smurf. These figurines are adapted to the children's hands, they are ideal for stimulating awakening and imagination. 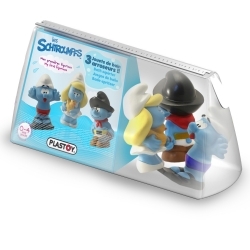 Baby Toiletry Bag with 3 figures Plastoy The Smurfs. 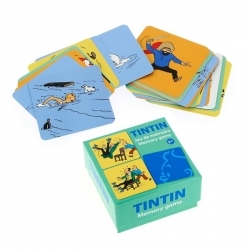 Playing cards Memory Game The Adventures of Tintin. A card game with an objective to find two similar cards. Great fun for children and the whole family! Number of cards: 36. 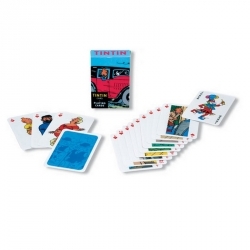 Regular playing cards, with pictures of Tintin cars through Tintin's adventures. French Version. 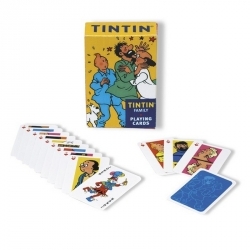 Regular playing cards, with pictures of characters seen through Tintin's adventures. French Version. Based on the classic cartoons and comics about the cowboy who shoots faster than his own shadow, this is Luky Luke Merchandise. 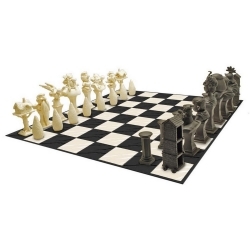 The game of Chess with a difference, a great way to encourage the young to play this strategic game. Box Contains: 32x playing pieces and playing board.